Enjoy the taste of experiential marketing. If a new food launch is on the menu, a Food and Product Sampling Truck will deliver tempting results.People love to eat and drink, but what they enjoy even more is food and beverages that are free. 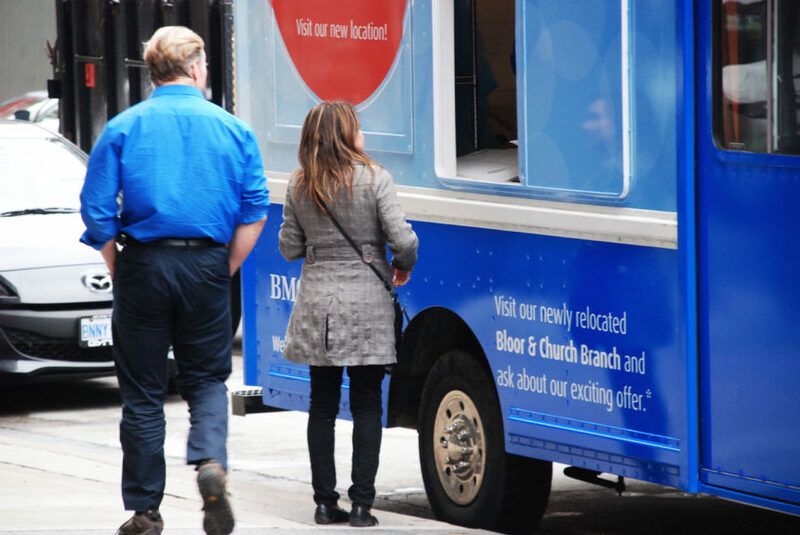 Pull up in a Product Sampling Truck and you’ll pull in the crowds big time. 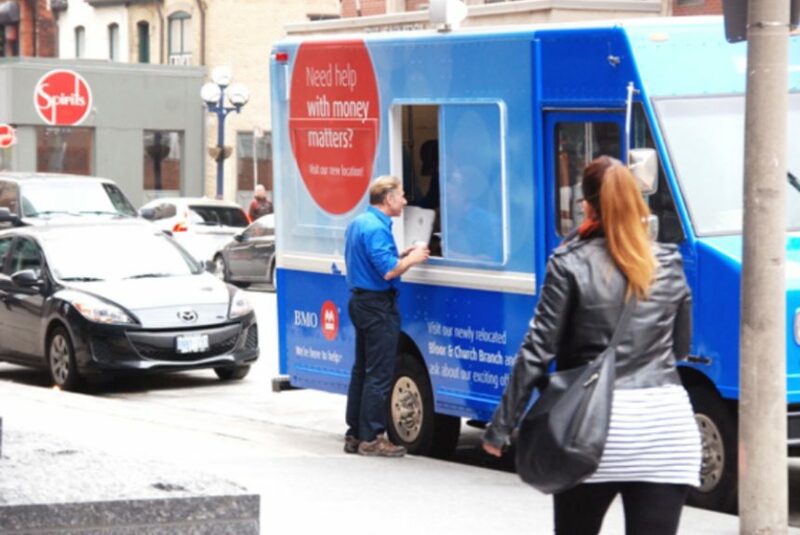 Many businesses buy into the idea of a food truck as a marketing vehicle, because it’s an effective way to test out new products or new markets. A fully customized Food Sample Truck campaign can strengthen your relevance to your target audience and gain valuable customer feedback. You’re literally taking your fare directly to your consumers. This removes any effort on their part, increasing the chances of your gourmet grilled cheese, carb-free potato chip or the latest fruit beverage etc. being sampled. Food and Sampling Trucks can be utilized successfully for PR purposes too. Even if you’re not in the food and beverage industry, a free coffee or hot chocolate giveaway (for example) will always draw lots of positive attention. Serve up your freebies in branded cups, throw in some other fun out-of- home media and you have yourself a branding campaign that both informs and entertains your market. Brand Ambassadors can also be provided to help make your promotion a success. Dominate a busy event by combining your campaign with our colourful and fun Walking Billboards to create additional awareness before people even see the truck. 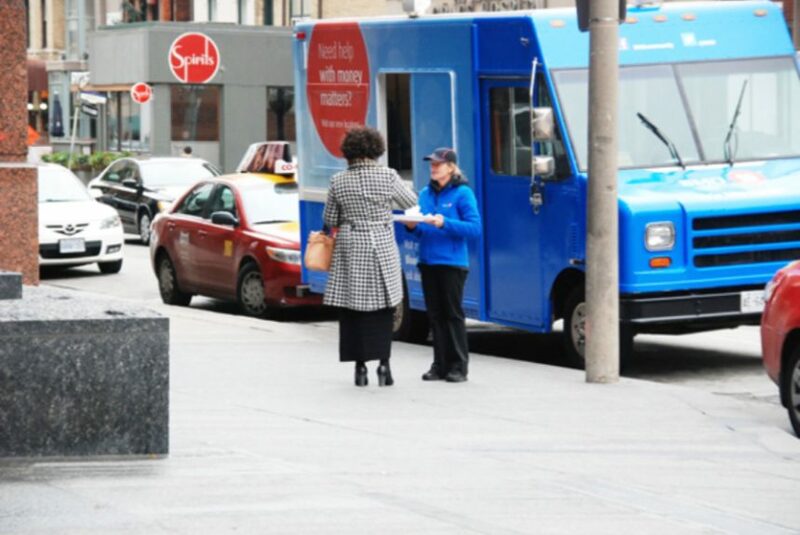 Serve up your product on the streets of Toronto, other cities in Ontario and even out of province, and connect with your customers in the most tangible way – by fully immersing them in delicious. Through real trial, your brand can see viewed, touched and tasted ensuring your target audience walk away with a memorable experience. Experiential marketing that involves one of our fully customized Food Sample Trucks starts with emotion. Eye catching custom wraps allow you to design your vending truck any style you like, for maximum results. If you have brand loyalty already, then people will immediately be drawn to your food truck once they recognize you. Or make a lasting impression on potentially new clients in a customized food truck that communicates fresh, exciting and different. The Food Truck industry is big business at the moment. Fuelled by the increase in popular foodie-related TV shows, curbside cuisine is hip, cool and deliciously on trend – another reason to hit the road if you have something edible that needs marketing.Our Food and Sampling Trucks are a cost-effective way to attract and influence consumers through complimentary product samples and the enjoyable experience of eating. Try a Food and Sampling Truck for your business today.